My wife, an apologist for how non-profits would be lost without development operations, was stressing to me last night the role gift acceptance policies have on influencing organizational culture. Noting the validity of her perspective, I accidentally tweeted a weblog title as a place holder for a future article. Truth is, I had been thinking about organizational culture for a few weeks now. A recent article in the Wall Street Journal, found through Lifehacker, touches on the importance of considering culture when trying to transition from a temporary job to a full-time position. This led me to consider what elements might impact the culture of a non-profit organization, not in relation to temporary employees, but with regard to maintaining organizational health for existing staff. A side effect of a healthy organizational culture, actions speak louder than words and organizational culture can be very telling externally (which should help in donor attraction and retention). I began thinking about organizational culture a few weeks ago when the July 2011 edition of the Harvard Business Review arrived in my mail box. I encourage you to purchase this edition or at least check out the articles on collaboration. I was reminded about the impact of organizational culture again this week by a news report regarding an culture of alleged cheating in the Atlanta Public Schools (APS). In the case of the APS, it seems that organizational leadership set the tone for the culture. During my time working in the non-profit sector I’ve noticed a few other things that shape organizational culture. 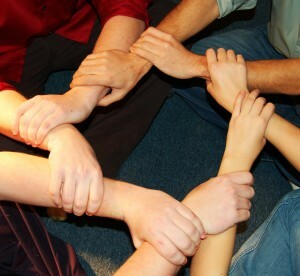 Meetings – The time we spend together with coworkers in meetings allows group dynamics play out. Aspects of meetings that contribute to culture… the regularity of meetings, meeting format (don’t get me started on Robert’s Rules). Even the person chosen to lead a meeting speaks volumes about organizational culture. Does the same person chair the meeting month to month and year to year? or is this responsibility shared among the team and in reflection to individual team member strengths? Communication – How people refer to one another, are formal titles used broadly or selectively or are staff on first-name basis with one another? The words and terminology we use can reflect organizational culture (e.g. director of development versus director of philanthropy). How is information shared across the organization? Is it timely? Is it done face-to-face? Is it done over E-mail? Is it hierarchical in how it’s disseminated? Cornerstones – For a lack of a better term I’ll use this term to refer to the policies, procedures, protocols, norms, and mores. Has your organization adopted gift acceptance policies, the Donor Bill of Rights, the Code of Ethical Principles and Standards? Better yet, are these cornerstones referenced and adhered to? How about the intangibles that affect staff morale… Like the example of the Atlanta Public Schools, do you reward bad behavior and promote under-performers? Do you encourage diversity if thought and promote innovation? or does your organization deliberate about minimizing exposure to risk and new ideas? Every organization has a culture, but if you are not intentional about shaping it, you may end up with something that is not attractive to quality employees or quality donors.